Online reviews have already transformed the way people choose everything from restaurants to respiratory therapists, and now SaasGenius wants to do the same for enterprise software in the cloud. This week the company will launch a beta version of its service, and it invites participants to submit reviews of business software in 12 different categories. In the past, businesses looking for software relied primarily on word-of-mouth reviews, but SaasGenius aims to tap the model that's become so common on the consumer side. Once the site launches in full, beta users will get an extended free trial, the company says. "The next three or four months are all about us getting more data," Gorski said. "We're going to optimize our site, we're going to see how people are using it, and we're going to test if there is a way of monetizing it." 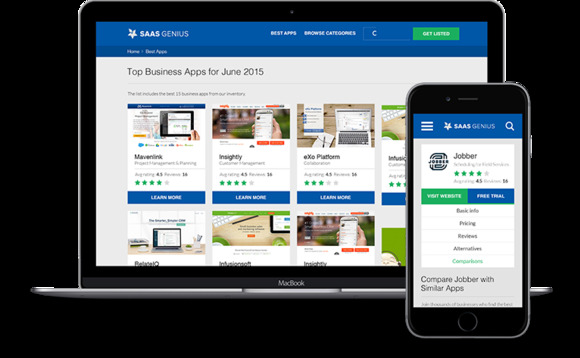 SaasGenius isn't the first company to try to bring user reviews to the world of enterprise software. Ombud is another example, and Rob Enderle, principal analyst with Enderle Group, is on its advisory board. "The issue is that it is really hard to get accurate reviews, between shills, competitors and folks that have never touched the product, and you tend to get too much false information," Enderle said. "Even if you get an accurate review, this class of product requires a lot of support and integration, which means the reviewer's experience likely will not match your own." Such review sites face significant hurdles when it comes to large enterprise solutions such as SAP, Oracle’s E-Business Suite or Salesforce.com, agreed analyst Frank Scavo, president of Computer Economics. "First, these review sites are easily gamed," Scavo said. It's easy to post fake reviews, in other words, either in favor of a vendor or against it, he explained. "These sites try to weed out obviously false reviews, but there’s not much they can do to stop a vendor from stuffing the ballot box." It's also important to compare any system against your own business requirements, Scavo said: "No two vendors are the same. A system that works well for one company may not work well for another." Finally, bad experiences aren't always the fault of the vendor. "Plenty of business software projects have gone south because of failures on the client side or on the side of the system integrator," he said. "But you’ll seldom hear a reviewer blame himself for the problem." "There’s no substitute for good old-fashioned reference checking," Scavo said. "Find other users of the software and talk to them. Ask them what they like, what they don’t like. Ask them what they would do differently. Ask them how they would advise you if you go forward with a certain vendor." It's common to neglect that step, but "in my experience, there is no better way to do your due diligence," he added. SaasGenius didn't immediately respond to a request for comment.